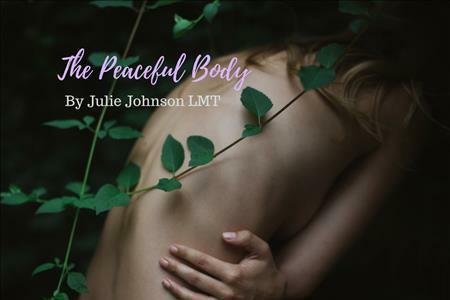 Julie Johnson is an Ossining-based licensed massage therapist with decades of professional experience as a healer and teacher. With a comprehensive foundation of education at The Swedish Institute of Health and Science and Therapeutic Touch at Pumpkin Hollow Retreat Center, her background also includes extensive training in multiple forms of healing arts, including: shiatsu, myofascial release and reflexology. Calm your mind, body, and spirit with my signature Swedish massage. I work out pain and discomfort in the body using long effleurage strokes and gentle to normal pressure. This improves circulation, diminishes stress, and relieves muscle tension. Perfect for: first time massage sessions, stress-relief, deep relaxation, anxiety and depression, improved sleep, and lowering blood pressure. Deep tissue massage builds on my signature treatment by releasing chronic muscle tension and increasing range of motion with deep pressure. This therapeutic treatment focuses on painful or stiff areas of the body and relieves patterns of physical stress. Perfect for: chronic pain, injury-based relief, athletes, chronic illness, and increased range of motion. Melts away muscle tension using the placement of smooth, water-heated stones at acupressure points on the body. The combination of heat transmission and traditional massage is extremely healing and promotes a deep state of relaxation. Perfect for: stress and tension relief and encouraging blood flow. The soothing touch of massage during pregnancy will allow you to let go of stress caused by shifting posture, hormone fluctuations, and increased weight. Must be past first trimester. Perfect for:, Pregnancies after the 1st trimester, reducing depression or anxiety, hormone balancing, relieving muscle aches and joint pain, improving labor outcomes and newborn health. Shiatsu is a traditional Chinese massage performed fully clothed. It combines a calming mix of stretching, rocking, and compression. In addition to providing tension relief, Shiatsu works by moving “ki” (also known as “chi”) through the meridians of the body. Perfect for: tension relief, body balancing, depression and anxiety and anyone who prefers a clothed massage. There are points or areas on the feet (hands and ears) that correspond to every organ, gland and system of the body. Reflexology is a method of using the feet (hands and ears) as a way to access the entire body. A great add-on to a swedish or deep tissue session. Perfect for: Eliminating toxins, stimulating central nervous system, preventing migraines, inducing a deep state of relaxation. Try one of these limited addition sessions designed especially for the season. "Julie was awesome, her hands were magical!!!" "Wow! I was greeted by a welcoming smile and immediately felt at ease. I explained to Julie what was happening to my aging body. She got it and well you can't fix in a hour what I have been messing up for 67 years, but I felt enough relief to say I'm coming back. I believe she can help me to continue to be active for many many years. Thanks Julie"
"Julie's studio is perfect , relaxing music, aroma therapy is provided. Her personalized attention to detail,comfortable table and soothing hands take away the aches and pains that a physical body needs. I was left feeling refreshed and recharged."